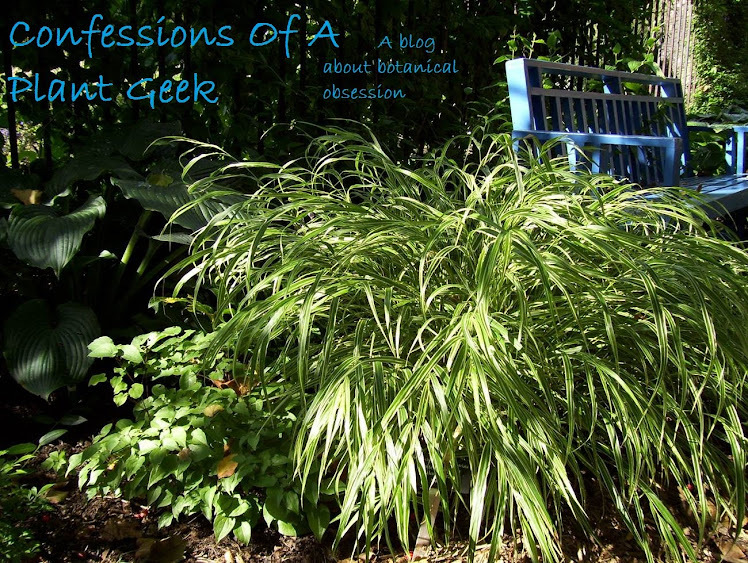 Confessions Of A Plant Geek: 2015 website update is DONE! Hi....just had to ask.....what is that lily-looking plant blooming in your pic captioned "spring isn't that far away."? The flowers say "lily," but the whorled leaves look completely unfamiliar. Hi Tim, it's a Martagon lily called 'Claude Shride'. Martagons are woodland lilies with distinctly broad whorled foliage. I have a decently-sized yard, none of which is lawn. About 80% of that is shaded, so finding variety--especially blooming variety--is challenging. I could imagine planting them alongside hellebores for a kinda 'gotcha' effect with the similar foliage. You're quite welcome! Many lily species are somewhat shade tolerant and worth a try if you have high canopy shade. There are lots of other great bloomers for shade as well. Woodland asters, woodland salvia, Kirengeshoma, Tricyrtis, Ligularia, certain sedums, polemonium, primula, and LOTS more!